A recent study by Zillow shows that millennials are renting an average of six years before they purchase a home -- up 4.4 years or over twice as long relative to prior generations. Millennials purchase differently. The birth of the sharing economy caters to generationally lower income and creates companies such as Car2Go and AirBnB. Millennials save by any means necessary and mechanisms to see cost of living savings through technology can tip the value equation in favor of the apartments that provide this technology to prospective tenants weighing their options. The early days of smart home technology are behind us. Where before it was merely a fanciful dream to have robotic vacuums, robo-chefs and devices you could control with a single remote — the reality is now upon us. While these technologies have certainly not reached ubiquity in the home, it is clear that the definition of modern living has expanded and created opportunity for those who recognize it. In particular, the multi-family housing communities that already cater to tech-hungry millennials have the opportunity to set themselves apart and reap the benefits. Though economists point to several reasons millennials are not becoming homeowners or delaying homeownership, one thing is true: millennials have created historically significant demand in the rental market, and apartment communities are benefiting across the country. A recent study by Zillow shows that millennials are renting an average of six years before they purchase a home — up 4.4 years or over twice as long relative to prior generations. Millennials are renting an average of six years before they purchase a home. Perhaps these economics alone are favorable enough to apartment owners and managers, but is there greater opportunity to those who are better able to cater to this renting generation? As any good business introspectively considers its competitive advantages and re-evaluates its business model, apartment managers that have begun to innovate their offerings experience to the new generation of renters will assuredly drive greater demand and perhaps a premium. Millennials thirst for technology; 74 percent of millennials believe that technology makes their lives better. Millennials are money-conscious. Millennials save by any means necessary and mechanisms to see cost of living savings through technology can tip the value equation in favor of the apartments that provide this technology to prospective tenants weighing their options. 74 percent of millennials believe that technology makes their lives better. There is certainly intimidating up-front cost to addressing the millennial opportunity in multi-family housing, but investments in smart technologies can benefit apartment owners and managers beyond attracting longer-term tenants. Smart technologies for apartments can reduce operating costs and in some cases create net positive economics by reducing property and casualty insurance premiums and add premium options to give tenants greater insight into their living habits. This allows maintenance teams to focus on fixing problems instead of trying to access and identify problems and more. 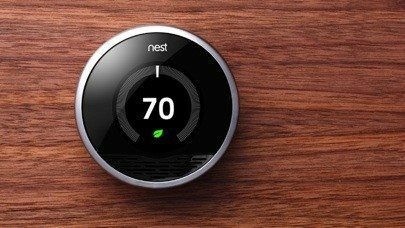 Specifically, systems such as Nest thermostats can help provide energy savings. Nebia shower heads can conserve water. Notion is a home awareness system. Rachio, a smart irrigation system, can be utilized to optimize the watering schedule of the public greenery that attracts tenants and reduces the water bill. Tesla’s Powerwall home battery can store inexpensive energy by pulling from the grid during inexpensive off-peak hours. Whether to attract tenants, have greater insight into your property, save on insurance premiums or to save on operational costs, smart home technology applied to multi-family housing communities is creating incredible opportunity to those willing to embrace its novelty. Warren Ng is the Head of Marketing at Notion — home awareness, simplified. You can follow him on Twitter or LinkedIn.